Food is a powerful force that connects families, unites friends and builds communities. In rural Perry County, for example, fried fruit turnovers have proven recession-proof and helped create and retain much-needed jobs. More jobs – and more pies – may be on the way. Armstrong Pie Company, a Tennessee classic that started in a Hohenwald kitchen in 1946, will add individual chocolate chess pies to its lineup in 2012. The company added small pecan and chess pies in 2011 and has been contacted by a London-based importer who wants to distribute the tasty treats in the United Kingdom. 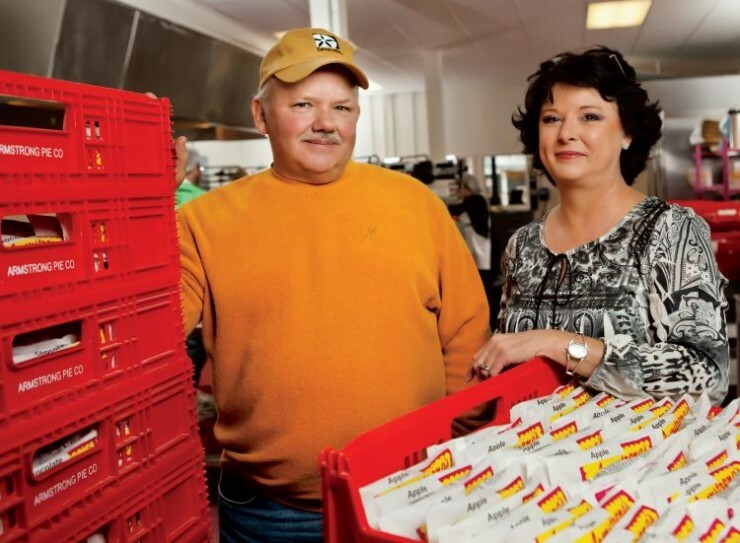 A dozen people work at Armstrong Pie, and owners Bert and Dalyn Patterson hired a bakery worker in December 2011 and a new driver in January 2012. They expect to add at least one more employee – and if the export deal works out, potentially more. “We are growing a little bit,” Dalyn Patterson says. Bert Patterson was born and raised in Linden and had eaten Armstrong pies since he was a child. The couple happened to be in the office of their real estate agent, selling one property, when the listing for Armstrong landed. Today, the business is located in Linden. 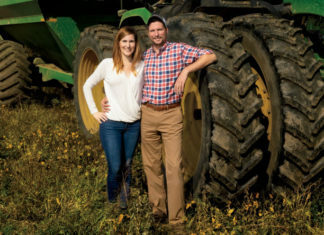 Twelve jobs may not sound like much, but when the Pattersons started, they were the only two employees. Their timing coincided with the state’s plan to jump-start an economic recovery in Perry County by using federal stimulus money to pay wages of up to $15.85 an hour for 300 government and private-sector workers. A small company or two can have a big impact in a county with the highest unemployment rate in the state – 27 percent at one point in 2009. The stimulus hiring that year brought unemployment down to 19 percent, and the economic benefits rippled through the community. They still do. Armstrong Pie is an active member of Pick Tennessee Products, the state initiative that promotes locally grown and made foods. The company bought a building downtown and spent money on renovations and commercial-grade equipment. The wage subsidy lasted only a year, but Armstrong employees who were willing to accept unsubsidized wages stayed. All of the employees did. I grew up in Hohenwald and rode a bus to school which was behind the Armstrong’s Bakery. Those pies were wonderful. My aunt worked there and she would get us broken pies for a few cents. Such good memories. My Husband only lived a few doors from the bakery. By the way I am 62 so that was a long time ago. Keep up the good work. I am trying to reach you all about doing a fundraiser with the pies? I don’t know if you do this or not but the web site I cannot get to it to ask certain questions. I am a member of Holly Springs Baptist Church and we have a Mission Team that we raise money for so our members have support going on Mission Trips and I am so thankful for this.I was recently at a Bluegrass festival and your pies were promoted there by The Farm Hands Band, I purchased them and they were amazing. PLease reply to my email and let me know if this is possible. We have an event coming up in April, your contact will be appreciated. You’ll have to reach out to Armstrong Pie Co. directly for more information. 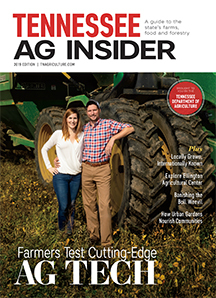 They aren’t connected with our website, though we featured them in a past issue of Tennessee Ag Insider. Sorry we’re unable to help! I went to school behind the hohenwald plant for 8 years. At some point we went on a field trip there and got a free couple of pies at the end. I love those chocolate pies. I’m glad someone had opened up shop again. Thanks for keeping the memory alive.